Mohammed Othman Al-Rukban, Moattar Raza Rizvi. Background: This study was aimed to investigate the knowledge, perception and attitude of community pharmacists towards written prescription in drug dispensing and substitution at Riyadh, Saudi Arabia. Patients & Methods : A qualitative methodology was adopted. Snowball sampling technique was used to identify community pharmacists. Riyadh city was divided into five sectors, which were further subdivided into two sub-regions. Ultimately, the 10 sub-regions were covered by 10 research assistance randomly. Results : The demographic characteristics of the current study showed that majority of Pharmacists were having bachelor degree and having experience of over 10 years. Ninety-two percent (n = 373) of the pharmacists enquired about the symptoms of disease and less than 60% asked about drug allergy while dispensing the drug. Only 35.8% and 45.7% respectively educated the patients about the drug side effects and drug interactions. The patients request (57.6%) and the pharmacist's long experience (51.1%) represented the most common factors that guided the pharmacists to prescribe the drugs to patients without any written prescriptions. About 53% (n = 216) of the pharmacists advised the patients to consult the physicians before prescribing the drugs requested by them. Conclusion : Patients request and pharmacists experiences are the most important factors in determining the dispensing of drugs. The dispensing of medications at pharmacies should be more tightly regulated to ensure quality for the patient. All prescriptions should be examined for accuracy, completeness and correctness by dispensing pharmacists. Mohammed Othman Al-Rukban, Moattar Raza Rizvi. Pharmacists Knowledge, Attitude and Practices towards Written Prescription in Dispensing and Substitution of Drugs in Riyadh. Majmaah J Heal Sci. 2014; 2(2): 28-34. Mohammed Othman Al-Rukban, Moattar Raza Rizvi. Pharmacists Knowledge, Attitude and Practices towards Written Prescription in Dispensing and Substitution of Drugs in Riyadh. http://www.mjhs-mu.org/?mno=290210 [Access: April 25, 2019]. Mohammed Othman Al-Rukban, Moattar Raza Rizvi. Pharmacists Knowledge, Attitude and Practices towards Written Prescription in Dispensing and Substitution of Drugs in Riyadh. Majmaah J Heal Sci. (2014), [cited April 25, 2019]; 2(2): 28-34. Mohammed Othman Al-Rukban, Moattar Raza Rizvi (2014) Pharmacists Knowledge, Attitude and Practices towards Written Prescription in Dispensing and Substitution of Drugs in Riyadh. Majmaah J Heal Sci, 2 (2), 28-34. Mohammed Othman Al-Rukban, Moattar Raza Rizvi. 2014. Pharmacists Knowledge, Attitude and Practices towards Written Prescription in Dispensing and Substitution of Drugs in Riyadh. Majmaah Journal of Health Sciences, 2 (2), 28-34. Mohammed Othman Al-Rukban, Moattar Raza Rizvi. "Pharmacists Knowledge, Attitude and Practices towards Written Prescription in Dispensing and Substitution of Drugs in Riyadh." Majmaah Journal of Health Sciences 2 (2014), 28-34. Mohammed Othman Al-Rukban, Moattar Raza Rizvi. "Pharmacists Knowledge, Attitude and Practices towards Written Prescription in Dispensing and Substitution of Drugs in Riyadh." 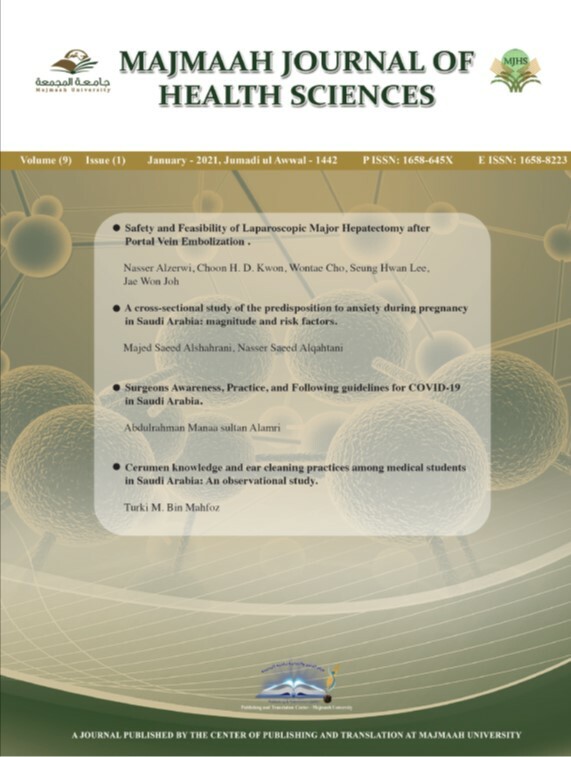 Majmaah Journal of Health Sciences 2.2 (2014), 28-34. Print. Mohammed Othman Al-Rukban, Moattar Raza Rizvi (2014) Pharmacists Knowledge, Attitude and Practices towards Written Prescription in Dispensing and Substitution of Drugs in Riyadh. Majmaah Journal of Health Sciences, 2 (2), 28-34. Majmaah J Heal Sci. Year: 2014, Volume: 2, Issue: 2: 28-34.